We are proud to be one of the first salons in the UK to have Olaplex as an in-salon service. This revolutionary new colour upgrade service has become a sensation amongst Hollywood’s ‘A’ list celebrities and across the world, namely Charlize Theron and Kim Kardashian. Olaplex allows you to go bright, go bold, and have the hair you’ve always dreamed of. As chemical processes break down the bonds that are essential for healthy hair, Olaplex steps in to repair them before any damage is done. 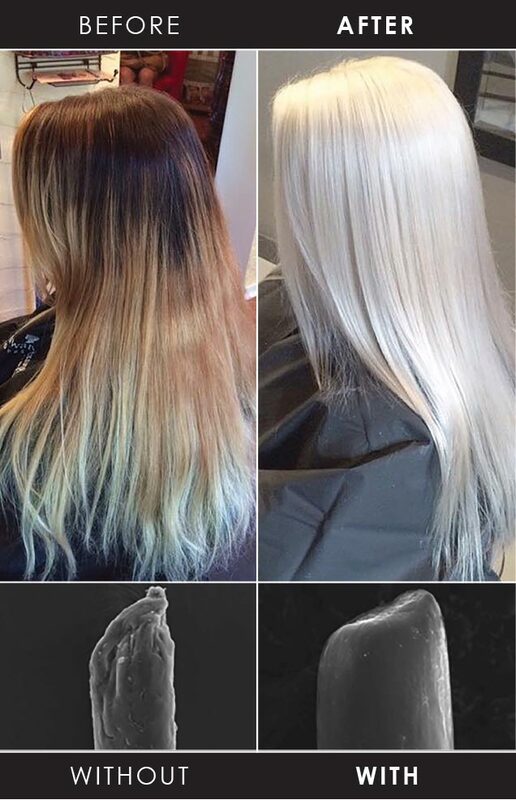 Ask for Olaplex to be added to your next service and see the incredible results for yourself.